A collection of courses for women designed to help you grow in your faith and live a life that glorifies God. Women’s Fellowship offers dynamic classes that are designed to do more than peak your spiritual interest. Allow God’s Word to come alive within you as you understand biblical principles more than ever before. You asked for a more rigorous bible study and fellowship. Now here is your opportunity to ‘step up to the plate’ and get started. Hear from God yourself as you study His Word and participate in one of our women-only classes. A space is reserved especially for YOU. This course will show you how to use your personal brokenness to connect with God for clarity and purpose for your life’s vision. Discover how prayer rooted in God’s Word will reveal His will for your life. With God-inspired principles, you will be able to unlock God’s plan and purpose for the vision to which you are called. It’s time for you to become physically fit and learn to calm your mind and body through meditation and stretching exercises that build core strength and stamina. You’ll use free weights to enhance resistance and build muscle tone through strategies for healthy living for a lifetime. Come prepared to workout. Did you know there are resources and tools available to you that make scripture come alive? Learn how to use Bible versions, concordances, Bible dictionaries, atlases and commentaries in your study of scripture. These tools will provide you lifelong skills for your understanding the Word of God. God often reveals our purpose through our brokenness. This six-week session of walking by faith, following God’s instructions, and allowing your God-inspired visions to be revealed will help you discover God’s plan for your life. Everyone has emotions, but what happens when an emotion such as sadness, fear, anger or guilt demands more attention than it should? If you are struggling with out-of-control emotions, this course will help you explore God’s Word—with ladies in your shoes—to take every thought captive to make it obedient to Christ. Do you panic or have fear when asked to speak publicly? Fear no more. Gain confidence, speak with passion, and learn secrets of preparation and how to connect with your audience. Be an advocate for God through your ability to speak with verbal dynamics. Based on the Titus 2 principle, you will learn the how-to’s of being a Christian woman. Make your Christian life personal by developing your intimacy with God through strong biblical teaching and the application of God’s Word to your life. Come get to know God better, and enjoy other authentic women who have committed themselves to Christ and you. Who are you? The course will help you understand who you are as a woman in Christ and how this identity can transform every aspect of your life. When we comprehend what Christ has done for us and realize we now belong to Him, we can walk in our identity and experience the life to which we have been called. If you have loads of creativity, but you don’t know how to use your creativity to make your dreams purposeful and a reality, this class is for you. This interactive class focuses on helping you narrow your focus and develop an action plan to design your dream. Learn how to get beyond the idea stage of your dream. CL3319: Can God Be Trusted in Our Trials? Where is God when we go through trials? What is God’s purpose for trials? Learn the biblical truth about trials and hear personal testimony as you build a firm foundation in your faith to strengthen you while you go through a trial. It’s time to get physically fit and learn to calm your mind and body through Christian meditation, stretching exercises designed to build core strength and stamina, use of free weights to enhance resistance and muscle tone, and wellness strategies that benefit healthy living for a lifetime. 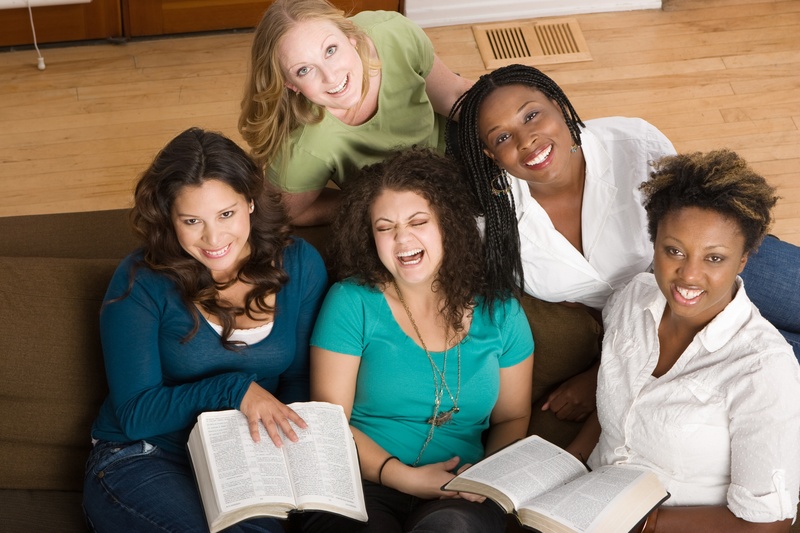 The course will engage ladies in a vibrant discussion regarding stages of spiritual growth. During our four weeks together, students will do self-examinations to determine obstacles to transformation and develop plans of action for moving towards spiritual oneness with the Lord. Do you feel left out, rejected, unwanted, invisible, vulnerable, or all alone? How are you coping with these negative emotions? If you’re not careful, you can find yourself stalled on the roadside of life believing Satan’s lie that you are “not good enough!” Discover biblical ways to navigate through these unpleasant feelings and live victoriously in spite of Satan’s attacks.